Quick-change design lets you change fabric graphics easily. What is an SEG fabric frame? Want a quick promotional display that you can change instantly whenever you want? 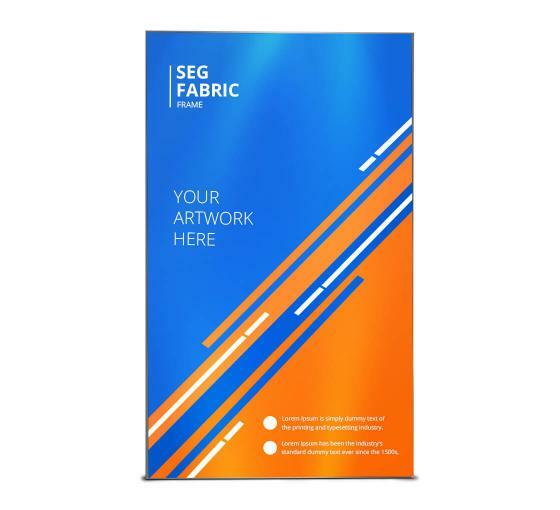 The SEG tension fabric displays are the perfect choice! The Silicone Edged Graphics or SEG Fabric frame binds a promotional design, content or image to an anodized frame. The printed graphic has a thin silicone strip attached around the edges. This silicone strip is then inserted into display frame, holding the graphic in place for an upscale look. Installation and replacement is quite simple. The SEG fabric frame can be mounted on the wall. The displays are lightweight, and changing the images is really simple. The designs are printed using high quality ink so they don-t fade away with the sun or passage of time. The frame can be dismantled quickly by using Allen Key. This makes an SEG frame a portable and convenient promotional means, allowing it to be used at trade shows, events, retail stores, networking conferences and anywhere else where you-d like to get the word out. Place an order for these effectively beautiful tension fabric displays and market your business!